In true hospitality style, the Hilton Group proved once again that loyalty goes a long way. They came in strong and took care of the Caviar Crew on our annual trip back to the Big Smoke to help raise funds and spread the word about Teens Unite Fighting Cancer, an admirable charity that we’ve mentioned throughout the years. Tower Bridge is literally right there. 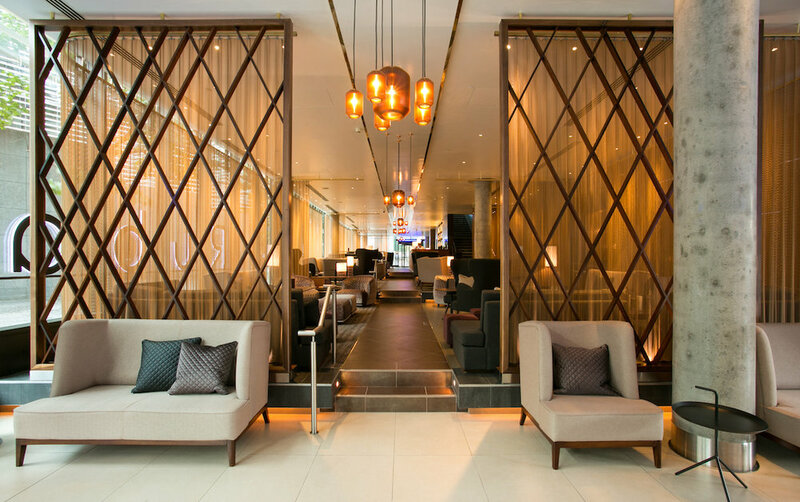 The Hilton Tower Bridge property is a buzzing hive filled with the widest range of people you could imagine. There was great energy here 24/7 and since you’re smack bang in the centre of the business area, you also have some pretty awesome snap-worthy moments. Step out of the hotel to the right and you are a hop, skip, and jump from the legendary Tower Bridge, a sight that doesn’t get old even for the non-tourist like me. 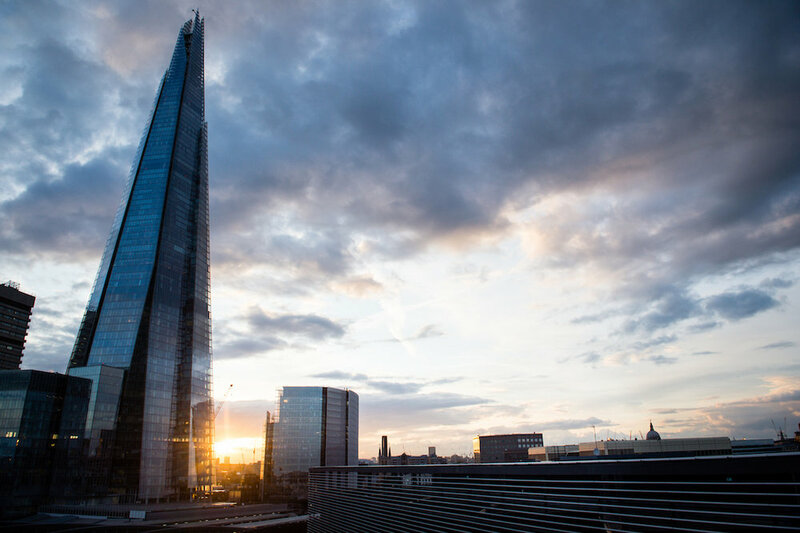 And for the lucky folks who happen to book a room with a view, you’ll have the luxury of just pulling back the curtain for a stunning look at the Shard and other impressive architecture. You have to give London some credit here - she’s a pretty stunning city when you slow down and take the time to look up and chill out! The overall design of the hotel is modern, catering to today’s traveller looking for a mix of convenience, comfort, and quality. In general, the clientele demographic leans a little heavier on the business side but because of the hotel’s convenient location and buzzy vibe, there were plenty of tourists and folks like myself who were in London for a zippy 24 hours to attend a shindig in the area. Although I wasn’t there on business, I still wanted to stay connected with WiFi and have the option to access other services, which the Hilton has in spades. (Shouldn’t free WiFi be a given in this day and age? Shame on all of the places that still continue to charge or only offer limited access.) So if you are here on business, you’ll be all set and able to carry on working without missing a beat. There were tons of people on their MacBooks, flicking through spreadsheets and design documents, and it’s clear that the property has cultivated a faithful following of people who wish to work in salubrious surroundings. The customer service is where Hilton continues to shine. This is why, even though we generally focus on boutique hotels, we won’t ever dismiss the well-oiled operations of the big brands. For two years in a row, at two different Hilton hotels, I’ve experienced super happy staff and fabulous concierges who are all very proactive, able to think quickly on their feet, and handle large influxes of people with ease. And believe me, the lobby was buzzing! It was all smiles from check-in to check-out, and the service never failed to be swift, professional, and courteous. There was no stress, no flustered faces, no strained smiles. The staff all emitted a great energy, making me fully believe that they truly enjoy working there. Seriously, guys (and this is directed to the Hilton staff), keep up the fantastic work because it has truly been a pleasure during each of my stays. With an Executive Room comes access to the Executive Lounge. Lucky Pra was booked into the King Executive Room, spacious with extra benefits like access to the Executive Lounge and complimentary services at the business centre. The Executive Rooms are also located on the higher floors which means you get some fab views of the city. The trendy and slightly moody colour palette warmed up the room and the bed was super comfy with crisp white sheets that felt absolutely divine at the end of a very long night! The bathroom is also more impressive than your standard hotel setup, with both a walk-in rain shower and a bathtub/shower combo and a vamped-up design that features a vessel sink (one that sits on top of the counter) and spotless finishings. Having stayed in an Executive room before, I wouldn’t hesitate to upgrade for future stays just for the additional breathing space (a generous 28 sq. m. so you won’t feel squashed, especially for longer stays). For the business traveller, this is really a no-brainer. A room that would allow me to get my work done but also provide a space for me to unwind and get comfortable? Of course. Having said that, the standard rooms are nothing to scoff at, and if you’re the type of person who uses their hotel room as a crash pad at night, you’ll be more than pleased with the regular accommodations. In total, there are 248 rooms, all recently refurbished, with interconnecting options available for those travelling with family. For all-day meals, you can pop into Jamie’s Italian by, you guessed it, celebrity chef Jamie Oliver. It’s a casual atmosphere with rustic Italian dishes and whilst I’m not a great fan of chains and felt a little dubious about dining here, I actually ended up eating here twice! Breakfast was filled with tourists who were also staying on the property - girls getaways, families, friends - eliminating my initial thoughts that it was just for the business traveller (though lunch was packed with workers from nearby businesses). The service was spot-on and the food was just right. Even though the breakfast was buffet-style, it had a superb selection and I couldn’t fault them on anything. If you’re just slightly peckish, head over to TwoRuba and order off their small plates menu instead. But be warned - you just might end up ordering a cocktail and staying for a little longer than planned! Without a doubt, if you have the time, stop in at TwoRuba. This modern space has recently been refurbished with warm colours and copper tones. It’s located on the ground floor and is bright and sunlit during the day, making it an ideal place to have a quick coffee meeting or catch up on some work. Come evening, it becomes a lively cocktail bar that fills up with those looking for a pre-dinner tipple or nightcap. I arrived late morning and TwoRuba was already heaving with everyone from the casually dressed to those in sharp suits indulging in conversation, meetings, brainstorms, you name it. Seriously, it was creatives to finance, coffees through to *ahem* champagne at 11:55 am (it’s always five o’clock somewhere!). So, should you arrive in the later hours, take advantage of the full bar and have one of the bartenders whip up a signature cocktail like “Parma Violet” (a vodka-based floral, fruity combo of violet, peach, and orange), or a good old-fashioned margarita. Either way, you’ll love the vibe here and it’ll get you in the mood for a fun night out! The Executive Lounge on the 9th floor has another secret perk - stunning views from its terrace. You’re in a prime spot for sightseeing if that’s of interest. 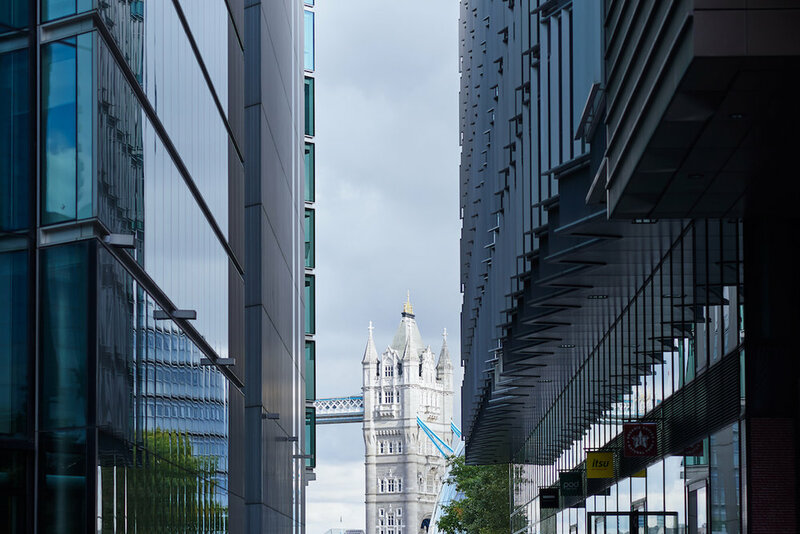 The hotel is flanked by Tower Bridge and London Bridge, both just a minute or two away. There’s also The Shard, Tower of London (directly across the river), the Fashion and Textile Museum, and the Borough Market, to name a few other tourist faves in the area. Disclaimer: The Caviar Spoon ReBelle was hosted by Hilton Tower Bridge but all opinions expressed are our own.